The word “choke” normally makes us think of an emergency situation where a person has food stuck in the airway, unable to get oxygen into the lungs. Luckily, the Heimlich maneuver often does the trick, expelling the offending object with a burst of forced breath. However, choke in horses is a completely different matter. For horses, it’s an obstruction of the esophagus, which means that the airway stays open and the horse is generally not in immediate danger. Still, it’s not a situation to ignore! The most common causes of choke in horses are from food items. Coarse hay, grain and feed, such as beet pulp, can swell when it mixes with saliva and becomes wet, causing an obstruction. A greedy eater who doesn’t chew his food before swallowing can also cause obstructions. Rarely, a larger object such as an apple can lead to choke if it’s swallowed whole. Most owners notice choke when their horse is unable to swallow food or water. During choke, horses will drool, dribble food and saliva out of their mouths, make several attempts to eat or drink, or could have food particles draining from their noses. Some horses will look as if they’re trying to vomit or gag. An observant owner may notice the horse stretching his neck repeatedly to try to shift the offending material. Occasionally the obstruction will be palpable along the neck if it’s large enough. If it’s only a partial obstruction, the horse may still be able to drink and eat some foods. If your horse has been sedated for any reason, do not allow him to eat until he is completely awake. Horses that eat while under the influence of sedation can choke easily. If you notice any of these signs, call your vet immediately. Veterinarians typically diagnose choke with a good history and failure to pass a nasogastric tube down into the horse’s stomach. What to do for choke varies with each case. A mild case may clear up on its own by withholding feed and allowing saliva to build up and lubricate the mass, helping it downward. Sometimes sedatives or smooth muscle relaxants are given to allow the esophagus to expand so the lump can pass. If the obstruction does not clear up quickly, the next step is to have a veterinarian pass a nasogastric tube into the esophagus and apply light pressure to break up the obstruction. During this procedure, the horse is sedated and water is pumped into the tube. The tube is gently moved back and forth to break up the material. The horse’s head must be kept low to prevent the material from being flushed or coughed into his lungs. Patience is important during these flushings; gradual break up with gentle flushes is more effective than a big “push.” It is estimated that more than 90 percent of all choke cases are successfully treated with this method. General anesthesia is needed on occasion for a more vigorous lavage, while again, taking precautions to avoid flushing anything into the lungs. Many veterinarians recommend a follow-up appointment for an endoscopic exam to evaluate the esophagus for mucosal damage. After choke your horse may have an irritated esophagus; you should feed your horse with soaked, pelleted feeds for a week or two to make it easy for him to swallow. Horses who have extensive esophageal damage may need special gruel-type feedings for up to two months. Your veterinarian will also carefully evaluate your horse for evidence of aspiration of the feed, which could lead to pneumonia. If the choke went untreated for a day or more, there may also be pressure damage to the wall of the esophagus, which can lead to rupture. Fortunately, this is uncommon. Choke is an equine health issue that is better to try to prevent; however, some horses may be predisposed to it. Older horses with dental issues or missing teeth may not be able to chew properly before swallowing, causing choke. To help, you can soak any dry feeds that expand when wet before giving them to your horse and stay on top of dental care. Some horses will consume their bedding and try to swallow shavings or wood chips that can get lodged in the esophagus. If your horse tends to eat his bedding, you can try using a muzzle. Also, make sure your horse has access to fresh, clean water 24-7 to help wash his feed down. If your horse devours his feed, try slowing him down by putting several large stones or salt blocks in his feed bin (he’ll have to either eat around or move the stones to get to the feed), or with a slow-feed hay net or special feeder. If you add stones to your horse’s feed bin, make sure they’re salt block-sized, so he can’t eat them. Paying attention to your horse’s feeding behaviors can also help to determine if he is prone to gulping his food. Does he get nervous at feeding time? Is he on the lower echelon of the herd pecking order? Is there any history where he had to fight for his food? 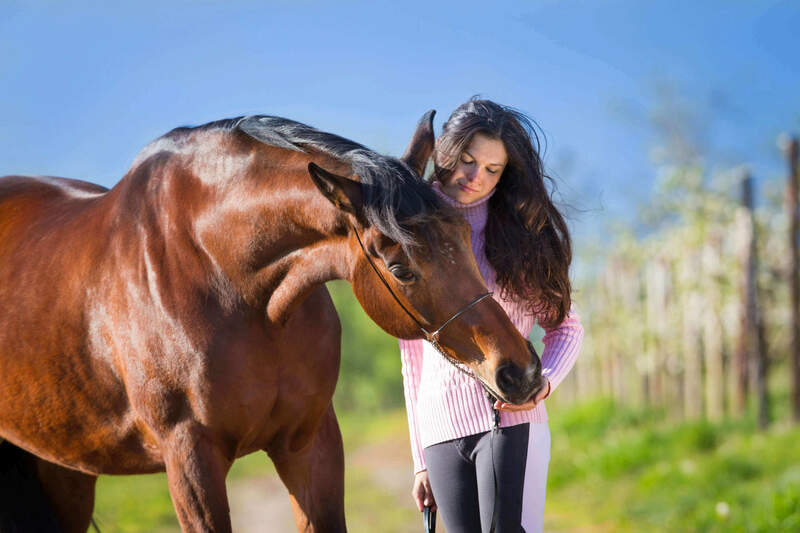 Hopefully you will never have to experience choke with your horse; however, it never hurts to be proactive with your horse’s feed management and dental care. 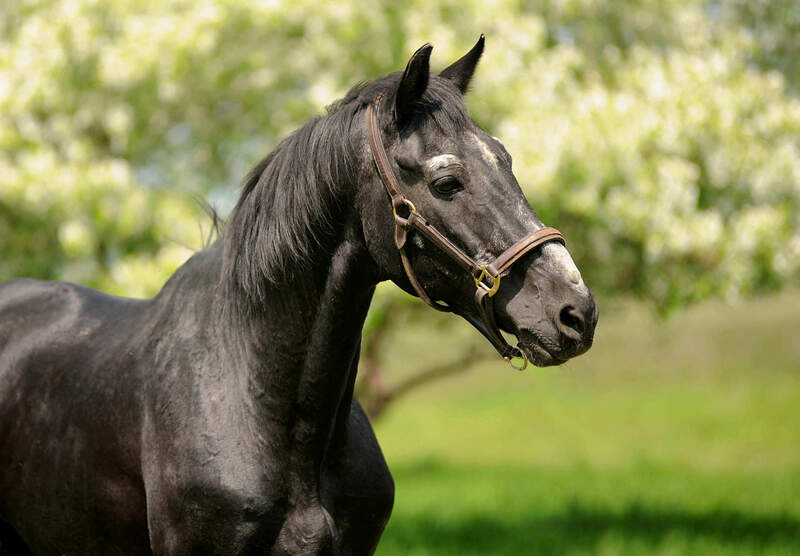 Although choke is an equine emergency and can be a very serious situation, if treated promptly with your veterinarian, the outcome should be favorable.